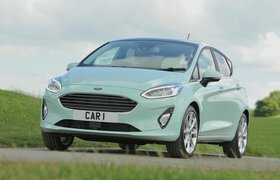 New Ford Fiesta vs used Ford Focus: which is best? This could be quite a contentious new versus used battle. The Ford Fiesta, you see, is a five-star car, thanks to great engines, lots of safety kit and brilliant driving dynamics. There have also been some serious efforts made to improve its refinement in the face of a growing number of premium rivals. The Focus, on the other hand, is a three-star car that is getting on a bit now. Its interior isn’t particularly special and it feels cheap against rivals such as the Seat Leon and Volkswagen Golf. The boot is a bit on the small side and there’s no adjustable boot floor, hampering its practicality – that's not great when you consider that this is a family car. 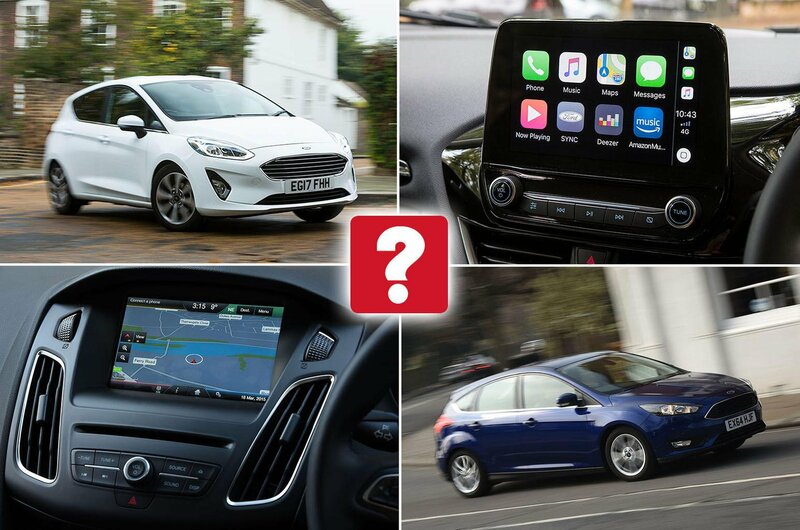 However, when you stop comparing the Focus with its rivals and start looking at it as a used alternative to a brand new Fiesta, things start to look up. It’s a bigger car for a start and, thanks to steep depreciation, the Focus looks to be something of a bargain next to a new Fiesta. But is additional space and good value enough to overcome the Focus’s shortcomings or will the Fiesta be able to hold its own against a car from the class above? Read on to find out. In general terms, the Fiesta looks like a photocopy of the Focus that’s been reduced in size. However, there are subtle differences that make the Fiesta slightly more visually appealing. Zetec-spec Fiestas (like our example) have chrome slats in the grille and LED daytime running lights that give the car a more expensive look than the Focus. Due to its ubiquity on our roads, the Focus simply blends into the automotive landscape. The side of the Fiesta features a much broader shoulder line that rises towards the back of the car and disguises the door handles to some extent. Round the back, the rear lights are rather large and run horizontally into the bootlid, helping to hide the width of the car and making it seem smaller than it is. The Focus is much plainer in design, although this perhaps explains its wide appeal. It was facelifted in 2014 to tidy up some of the fussier detailing, particularly around the back of the car. 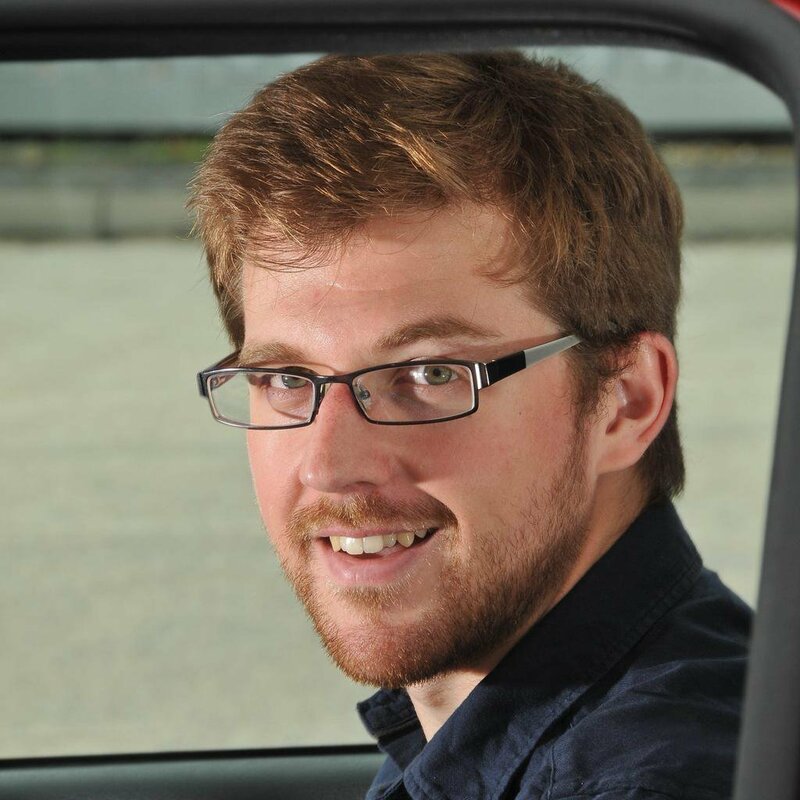 Both cars do well in this area; they’re often near the top of the class in terms of how they drive due to the way they blend ride comfort, handling balance and punchy performance. The two cars deal with potholes and speed bumps well. Smaller wheels, as fitted to the Fiesta Zetec and Focus Titanium models, help maintain ride quality. Only the worst road surfaces generate any annoying vibrations. What’s remarkable is that the compliance of the suspension displayed by both cars doesn’t come at the expense of body roll in corners. The Fiesta edges ahead here because it is smaller and lighter, so is keener to respond to driver inputs. It is genuinely as fun to drive as some sports cars – that's high praise indeed for a relatively cheap small car. The only criticism we have of the Focus is its steering; while it’s nice and precise, it just has an annoying habit of returning to centre in quite an aggressive manner. We’d suggest you go for the turbocharged, 1.0-litre Ecoboost engine in both the Fiesta and Focus. The 99bhp version in the Fiesta is more than sufficient in all situations and the six-speed gearbox makes it a relaxing drive on the motorway. The more powerful 123bhp variant in the heavier Focus is ideal for the same reasons.